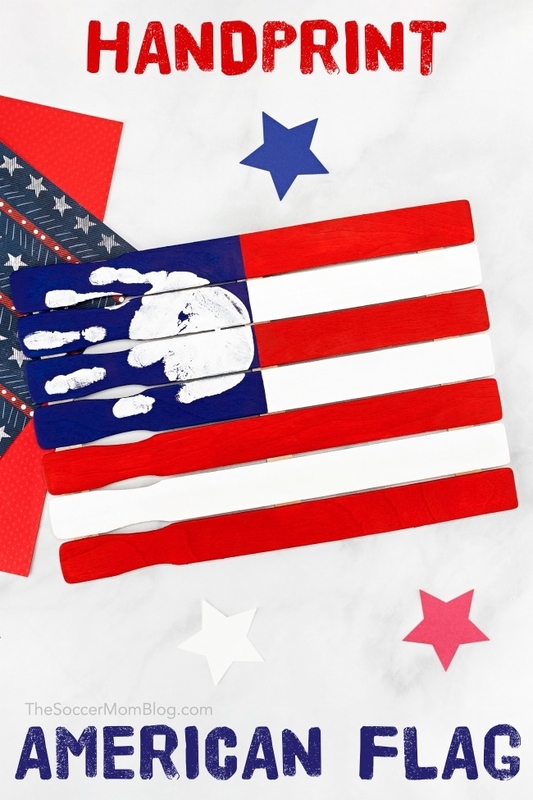 This American Flag Handprint Craft for Preschoolers is such a cute patriotic keepsake made using paint sticks! 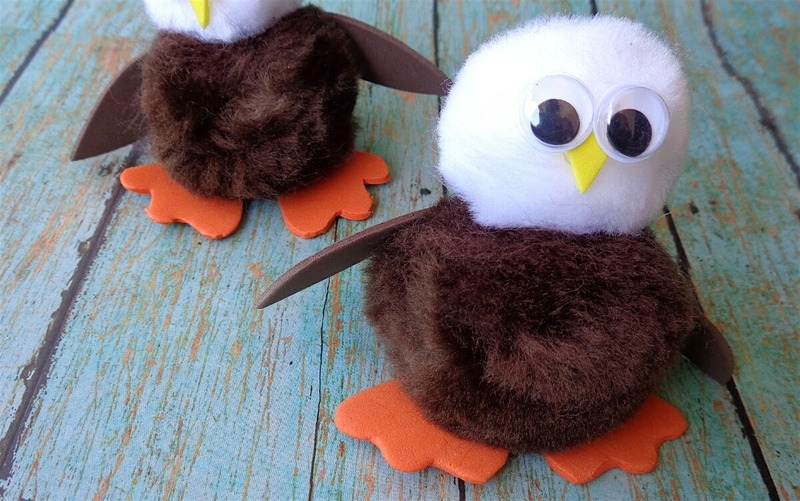 Handprint crafts are one of my favorite things to make with toddlers and preschoolers. I just love looking back at their impossibly tiny little hands and reminiscing! We’ve made handprint ornaments for Christmas and even a handprint caterpillar card for Spring. 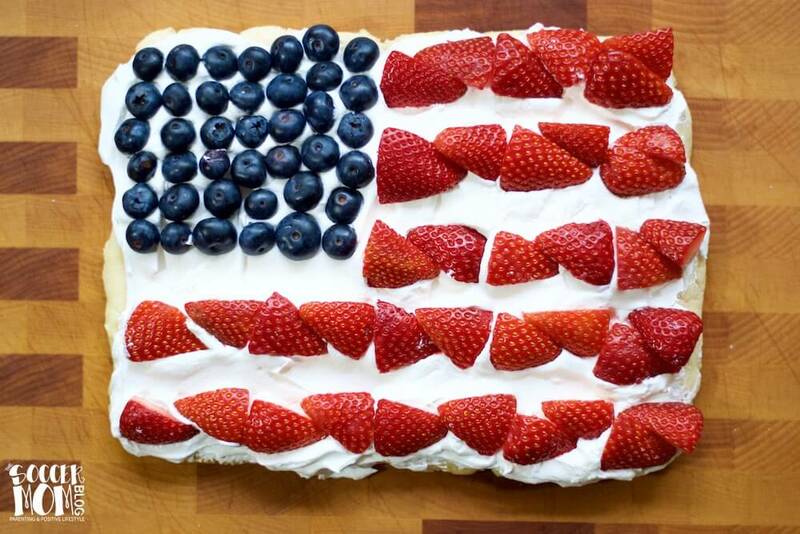 However, I think the prettiest one of all is this handprint American flag! 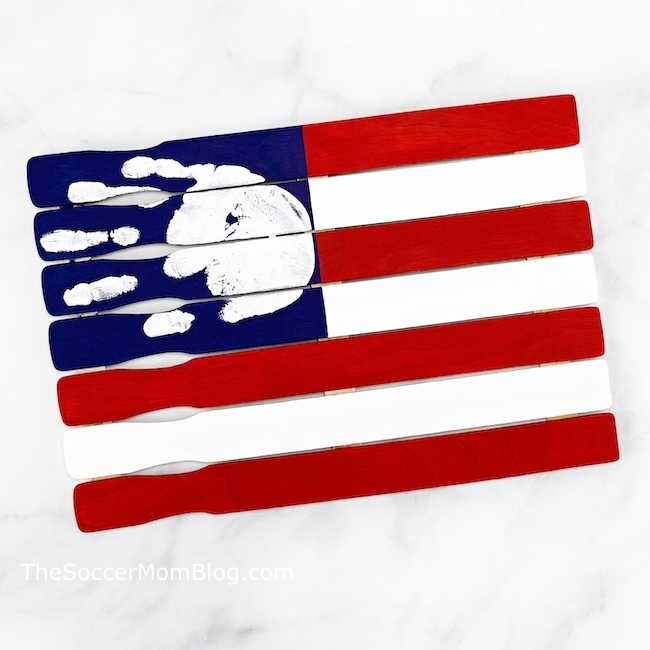 This handprint flag turned out absolutely gorgeous — it’s sturdy and should last for years. 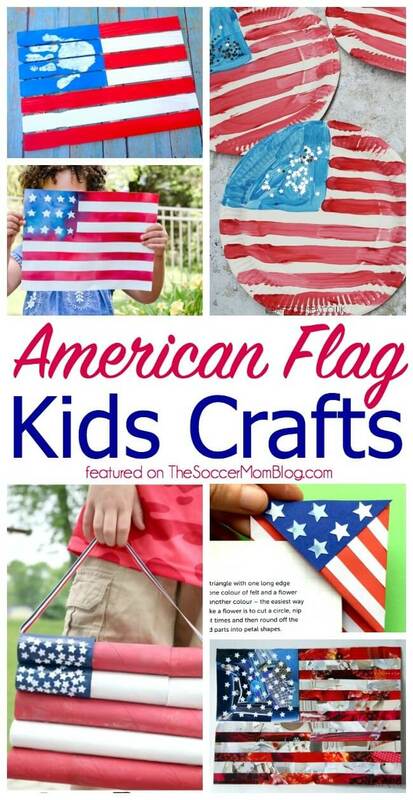 This kid-made wooden American flag is a super cute keepsake to gift to family and friends, or display as a part of your Memorial Day and 4th of July party decor. 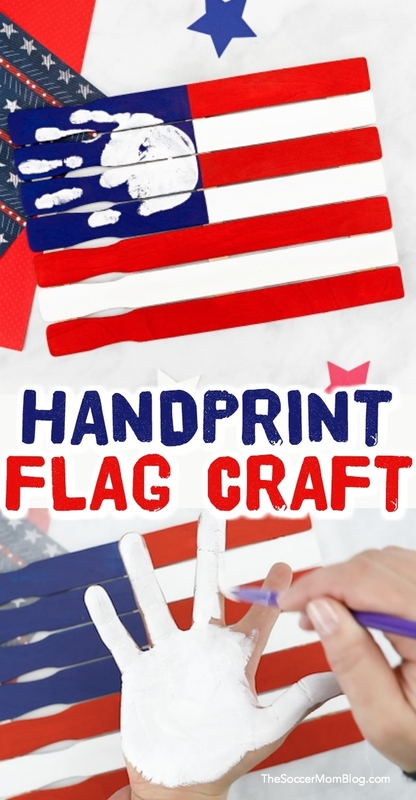 The best part about this handprint American flag is that it is so simple to make and only requires the most basic supplies: paint sticks, paint, scissors and glue. 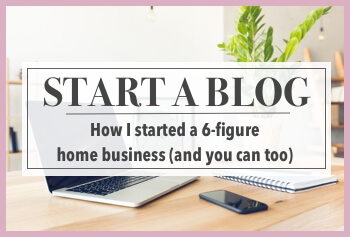 You might have most of these things on hand already! 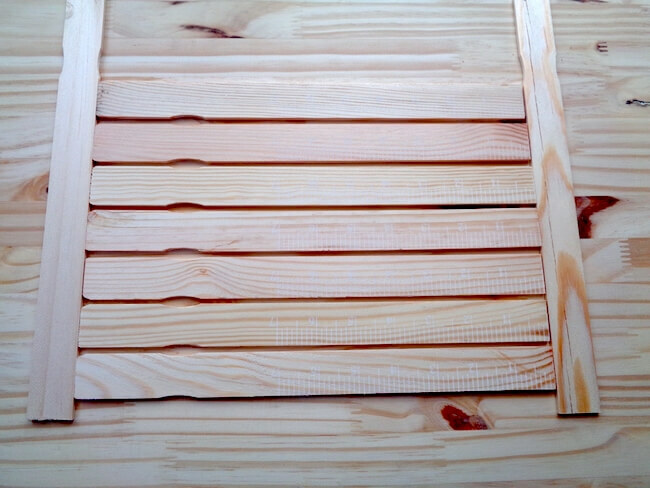 For your convenience, I’ve provided shop-able ad links to products used to make our wooden American flag; read our disclosure policy here. 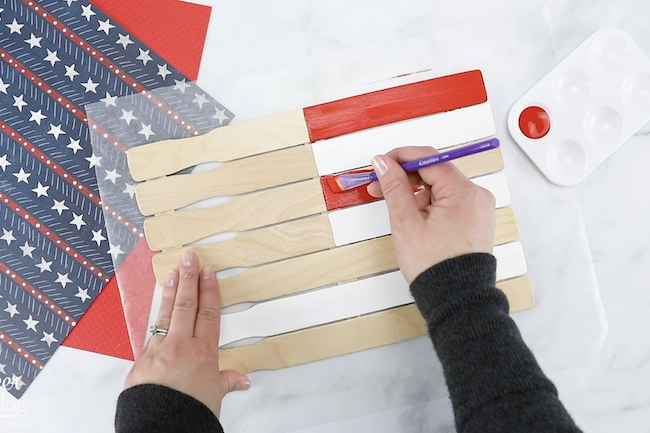 First, watch our 2-minute video tutorial to see exactly how we made our handprint American flag craft, then keep reading for full photo step-by-step instructions. 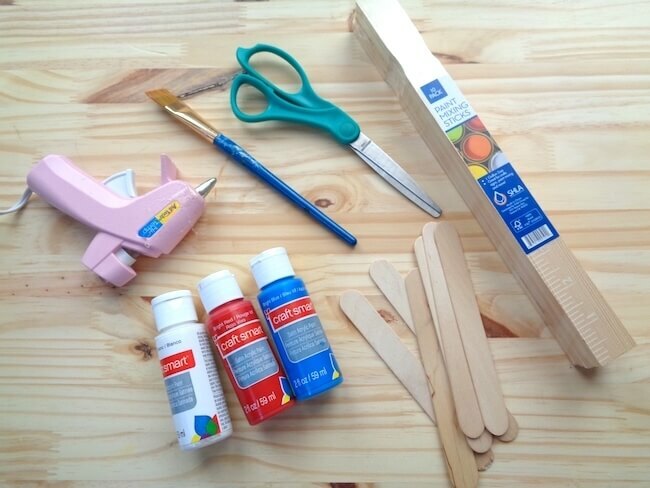 Begin by placing seven paint sticks in a row (closely but not touching). Line up two paint sticks along the ends to ensure that they are even. 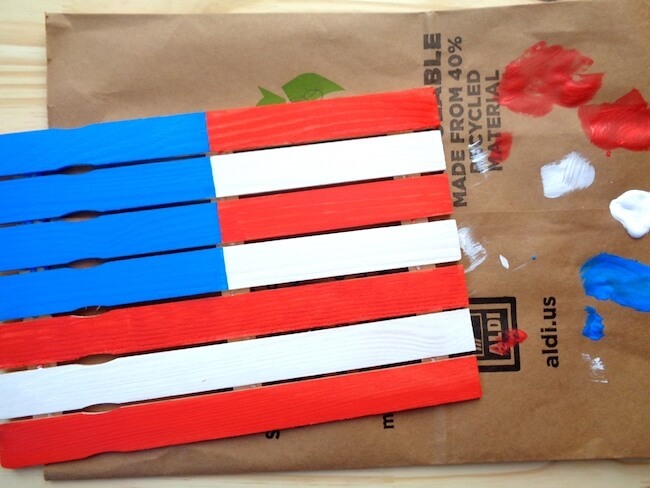 If your paint sticks have measurements, make sure to make these the back of your flag. Glue popsicle sticks on the left and right side and one in the middle. 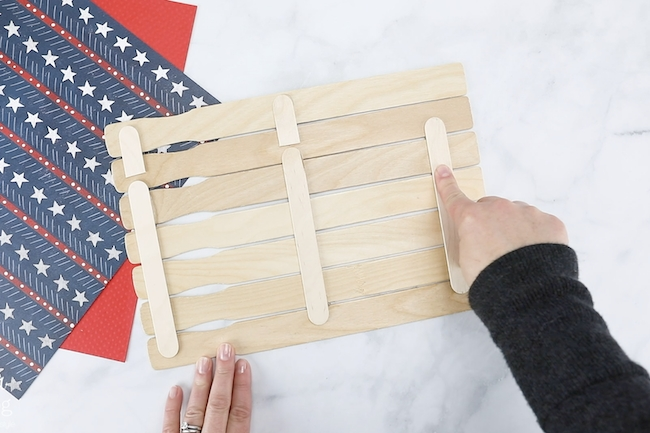 You’ll have to cut a small piece of popsicle stick to secure the top. This will keep your flag together and sturdy. 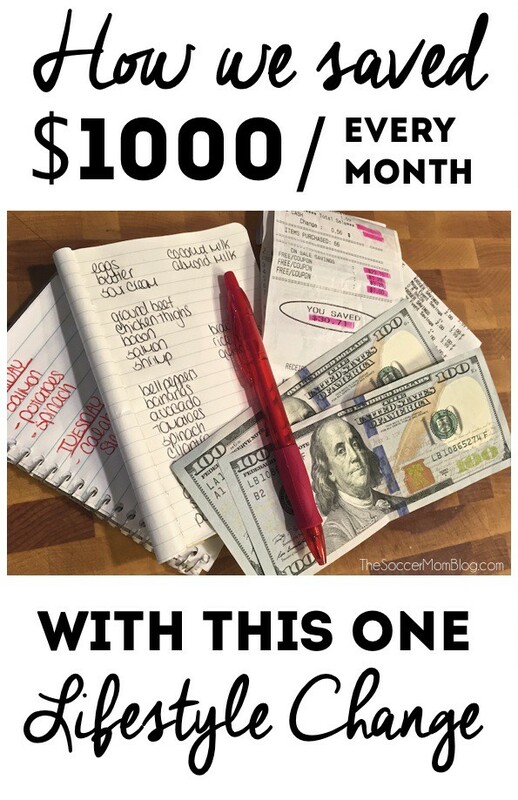 Don’t forget to do this on the side with the measurements, if your sticks have them. Turn your paint stick flag over. Use a pen or pencil to create a line where you will paint your blue section. 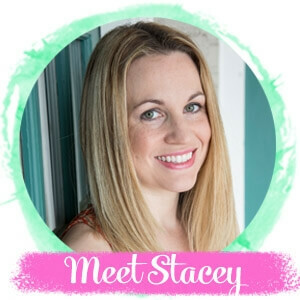 Tip: Mark your line based on the size of your child’s hand so there will be room for the handprint. Paint all white stripes first, then red stripes. For best results, allow to dry before painting the blue square (so red & white paint won’t mix or smudge into the blue). 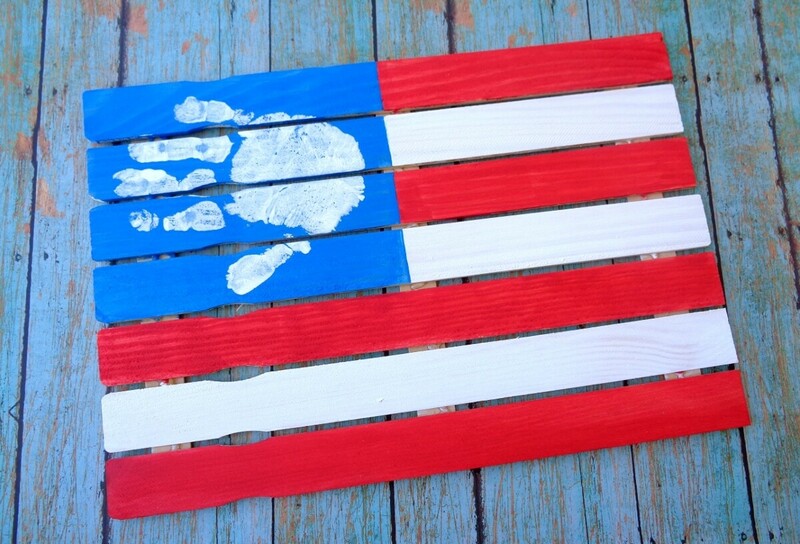 Paint your squared off section blue and allow the entire flag to dry completely. 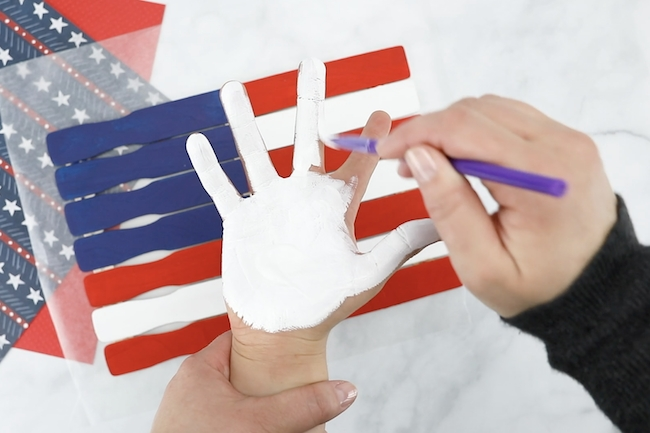 Once your flag is dry, paint your child’s hand white. To get a good print, you want to make sure their entire hand is generously covered in paint, but not so much that it is dripping. 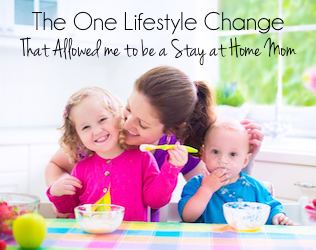 Gently guide your child’s hand and firmly press down on the blue section. 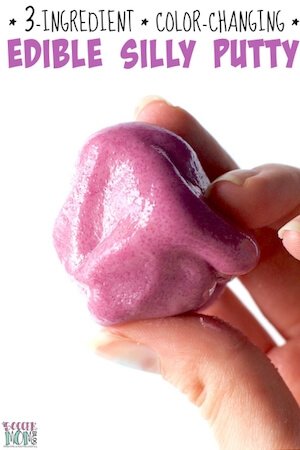 Raise their hand straight up, taking care not to slide or wiggle, as you don’t want to smear the print. Tip: Seal with modge podge or spray sealant to protect. 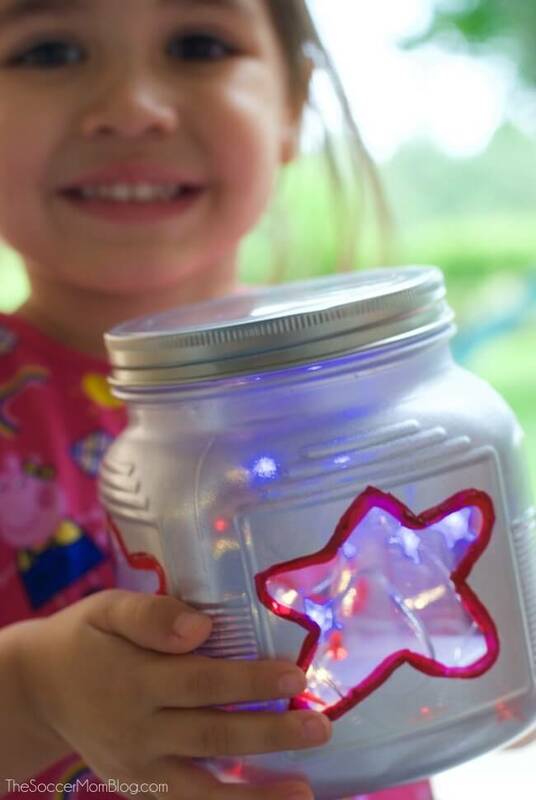 You can even use a glitter spray for a fun effect! 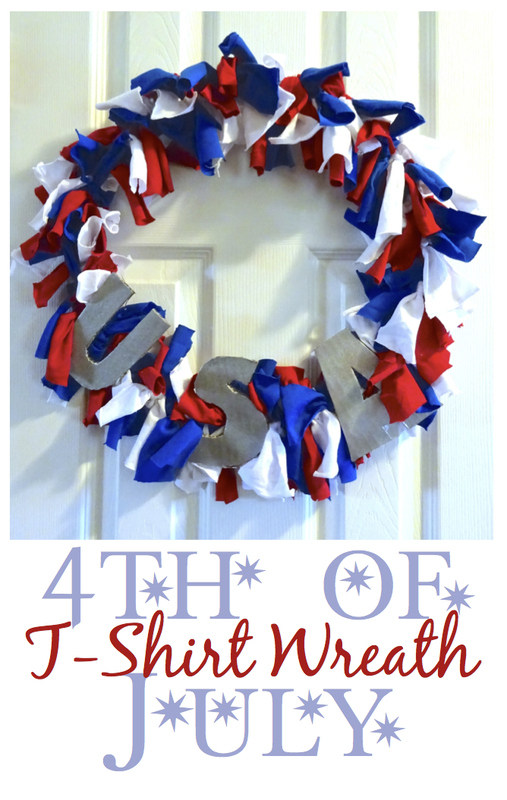 Click here to see all of our favorite American flag crafts!